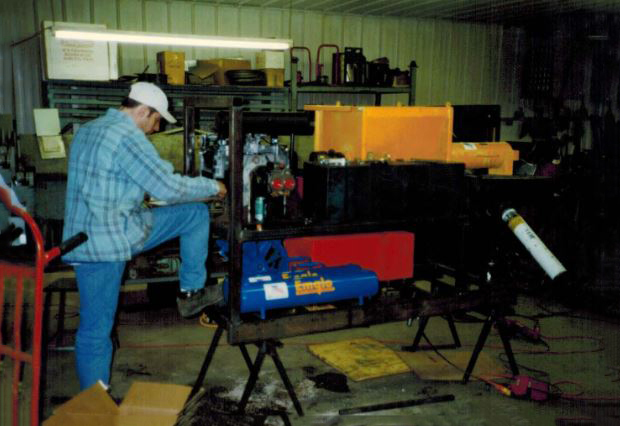 Family-owned and operated for more than 50 years, Hy-Flex is a leading provider of pumps, mixers and sprayers. 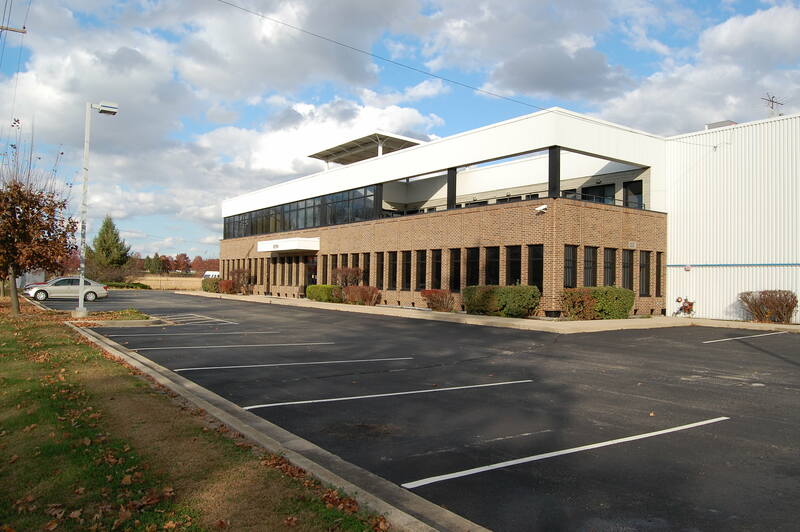 Simple, rugged and American-made, our products can handle many jobs in multiple industries, including fireproofing, waterproofing, stucco/plaster, wastewater, EIFS and infrastructure repair. We not only manufacture powerful machines; Hy-Flex is also committed to providing manufacturing solutions through a dedicated technical support team. Customer-focused service is our passion. We’d like to properly introduce ourselves here. Below you can find a timeline that tells our story — from our humble beginnings back in the ’60s all the way up to now. Thank you for your interest in Hy-Flex; we look forward to serving you! 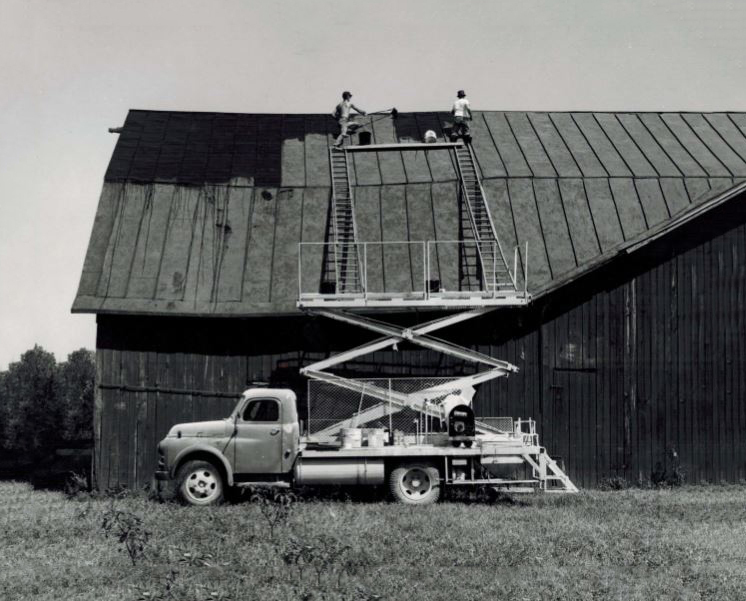 Founded in 1964, Hy-Flex is a result of founder Ernie Mills' enthusiasm for manufacturing, which started with the design and production of a mobile scissor-lift platform. 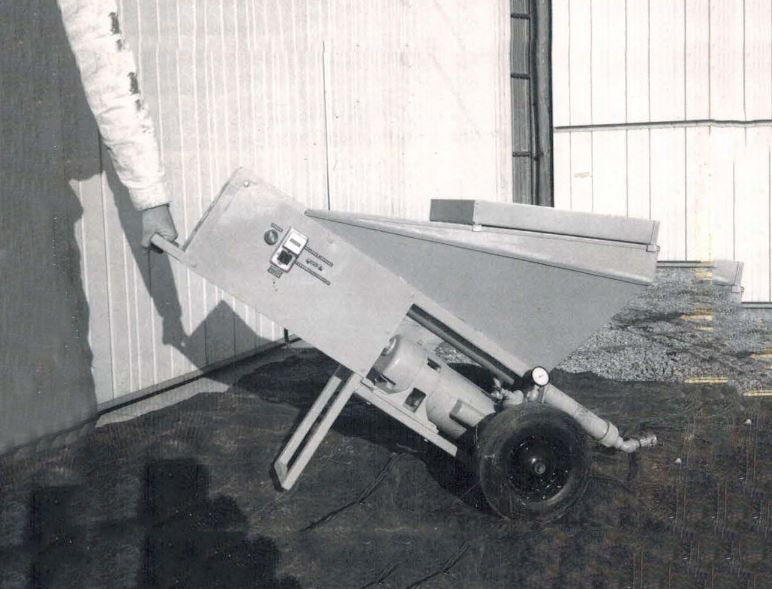 Although Hy-Flex doesn't produce this machine anymore, the scissor-lift stands as a symbol of the company's roots in its logo. 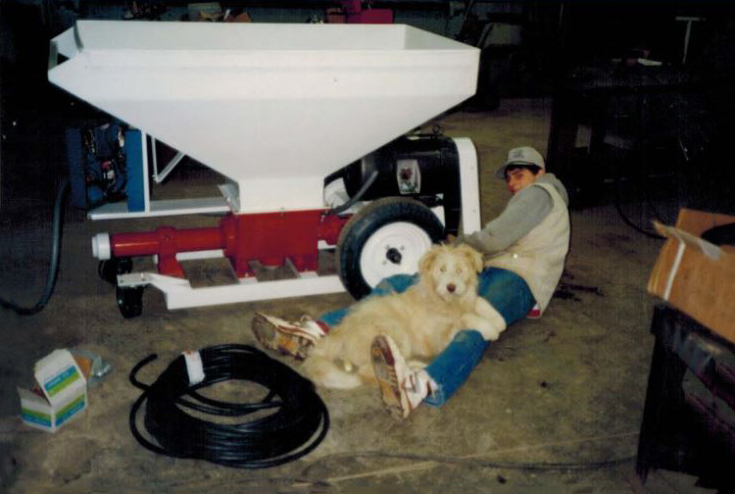 Mills and his son Ben pushed Hy-Flex forward with the development of pumping and mixing equipment for the coatings industry. Pictured here is the first pump that the company produced. In 1998, Allen Mills graduated from Purdue University with an ABE degree with a specialization in machine systems. He used his knowledge and expertise to push the successful company even further, adding contract manufacturing to its list of services. Family-owned and operated for more than 50 years, Hy-Flex is now settled in Knightstown, Indiana, where all of its metal fabrication and engineering is done.